Hansal Mehta's slice-of-life entertainer Simran, with Kangana Ranaut in the lead role, opened to a slow start at the box office this past Friday. 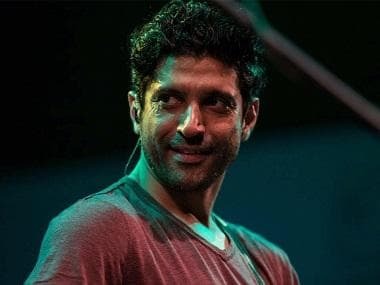 It garnered only Rs 2.77 crore, only a few lakhs more than its chief competitor Ranjit Tiwari's crime musical Lucknow Central, starring Farhan Akhtar. After recording a good rise in numbers on Saturday, the film continued to roll when it earned Rs 4.12 crore on Sunday. However, trade analyst Taran Adarsh attributed the low numbers on Sunday to the cricket match between India and Australia. #Simran needs to maintain on weekdays for a respectable total... Fri 2.77 cr, Sat 3.76 cr, Sun 4.12 cr. Total: ₹ 10.65 cr. India biz. While its figures have been on the rise, Simran desperately needs to pass the crucial Monday test and ensure a steady rise in the numbers throughout the week for a decent run at the box office. Four films, including Omung Kumar's revenge saga Bhoomi and Apurva Lakhia's crime biopic Haseena Parkar, release this Friday which will certainly eat out of Simran's market if the film does not pick up. Simran's success is also imperative for Kangana who has already seen a debacle in Vishal Bhardwaj's period drama Rangoon earlier this year. Simran also stars Sohum Shah and is co-produced by Bhushan and Krishan Kumar's T-Series Films, Paramhans Creations Entertainments and Adarsh Telemedia. Farhan Akhtar's Lucknow Central has seen a steady increase over the weekend. While it earned Rs 2.04 crore on its opening day, it managed to garner Rs 2.82 crore on Saturday and Rs 3.56 crore on Sunday. In total, the film has made Rs 8.42 crore so far. #LucknowCentral is now dependent on weekdays biz for a decent total... Fri 2.04 cr, Sat 2.82 cr, Sun 3.56 cr. Total: ₹ 8.42 cr. India biz. Lucknow Central was praised for its treatment of the scenes located in the jail, but was criticised for its slightly contrived climax. It stars Farhan Akhtar as the protagonist who is wrongly accused of murder and must serve a life sentence in the Lucknow Central Prison. He is an aspiring musician and attempts to build his own band in an attempt to escape.